Partnership with Cross Catholic to bring clean water to the Lodwar Diocese in Kenya. In the hot, arid desert of Lodwar, Kenya, the Turkana people have been forced to travel from one location to another, seeking water for themselves and their livestock. The women and girls have traditionally been tasked with finding and collecting this water; often, this grueling search has occupied most of their time. As a result,children have not been able to attend school. Even thoselucky enough to find a water source rarely benefit from it. What they locate is usually contaminated and ends up causing waterborne illnesses in the community. 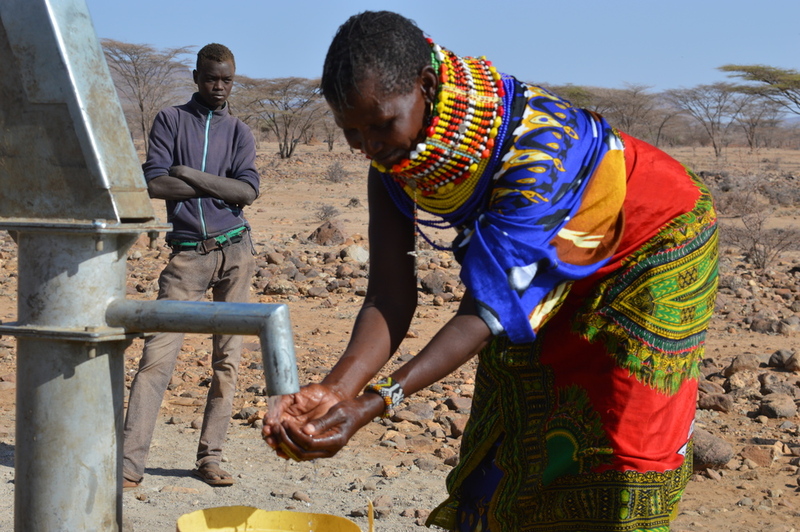 By joining Cross Catholic Outreach, we can help provide community water wells and sanitation systems for various villages within the Catholic Diocese of Lodwar. The impact will be incredible. Hundreds of men, women and children once plagued by disease and thirst will have clean water and improved health, some for the first time in generations! Thank you to those who helped support the Clean Water Project in January! To date, $23,792 has been collected. This project, overseen by Fr. Fabian, will install community water systems and sanitation facilities in several villages within the Catholic Diocese of Lodwar. You can still make a contribution. Each well costs $70,000. A donor is willing to match those donations from St. Joseph up to $35,000. Help us get one well for the people of Lodwar! Donations to support this work can be made out to: Cross Catholic Outreach, Donation Processing Center, P.O. Box 97168, Washington, D.C., 20077-7798. Please add Fr. Fabian to the memo line.